The cable tv, the a/c and the balcony were amazing. This property was in the perfect location . The host I can’t say better things about . She was absolutely amazing . I was worried at first about the no air conditioning but with windows open and the lake breeze it was absolutely perfect . I recommend this property 100% and would stay here again. Perfect assistance, location is great and it's in the best part of the city, where both the new and old parts of it collide, walking around the narrow neighbourhood's crosswalks take you to a medievial feeling, another thing to be appreciated is the hygiene which doesn't let you down, parking can provoke your patience a lil, but it's still worth it. 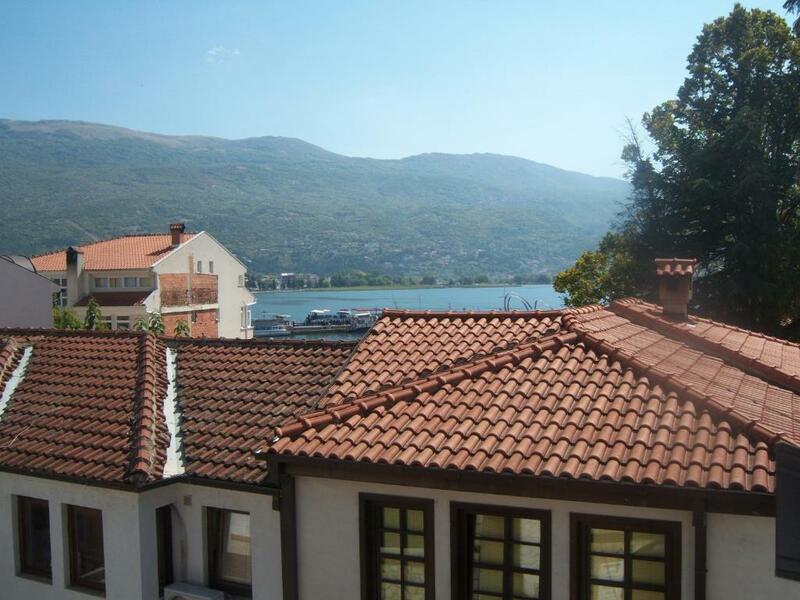 I recommend it to everyone seeking to have an old charm of the Ohrid lifestyle. Best location, great hosts, clean and feels like home. 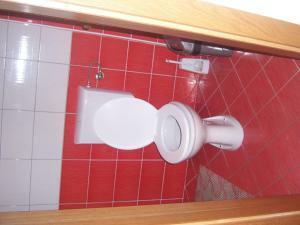 Great host, excellent location , clean and comfortable. We felt like home. 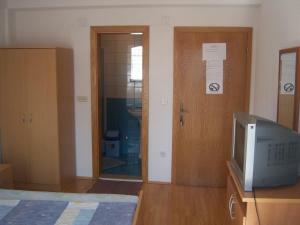 Excellent location, friendly hosts, clean and comfortable room. 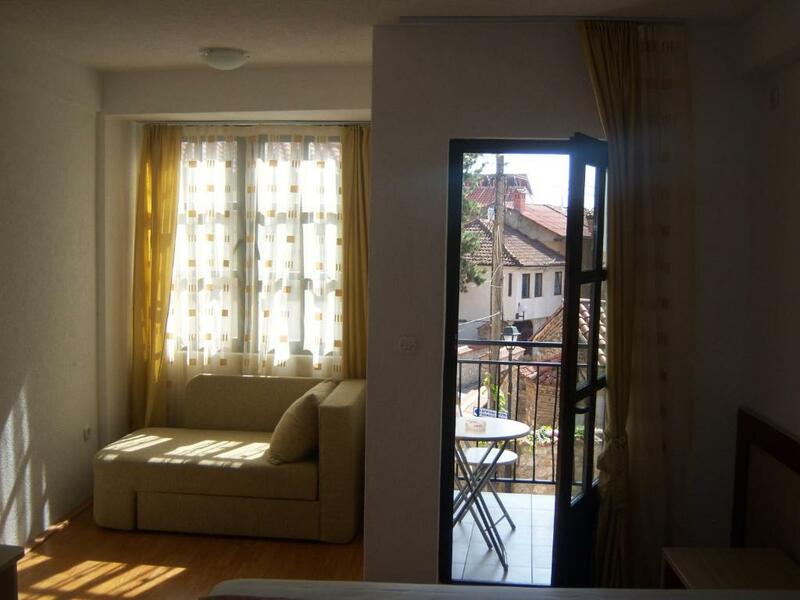 Lock in a great price for Apartmani Marija – rated 9.2 by recent guests! 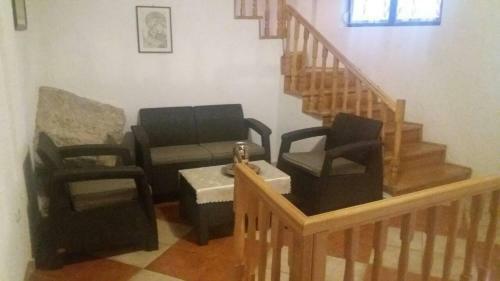 Apartmani Marija This rating is a reflection of how the property compares to the industry standard when it comes to price, facilities and services available. It's based on a self-evaluation by the property. Use this rating to help choose your stay! 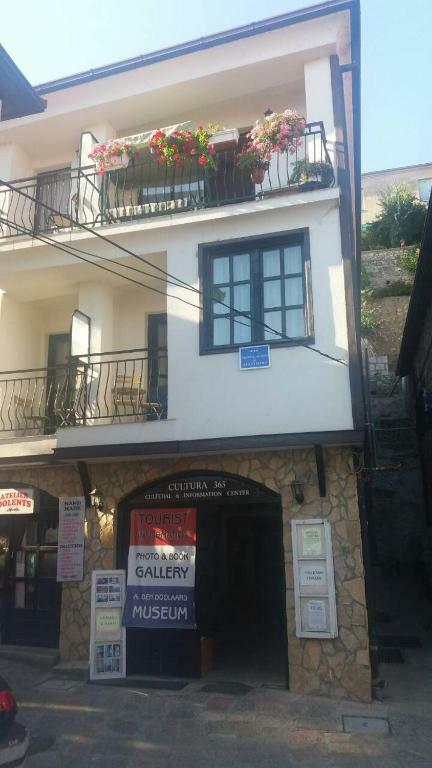 One of our best sellers in Ohrid! Conveniently located 150 feet from Ohrid Lake, Apartmani Marija offer self-catered accommodations with free WiFi. Free public parking is available nearby the property. Each unit is equipped with a flat-screen TV with cable channels and an private bathroom with a shower, a hairdryer and free toiletries. A balcony is featured as well. A shared coffee machine is at guests' disposal. 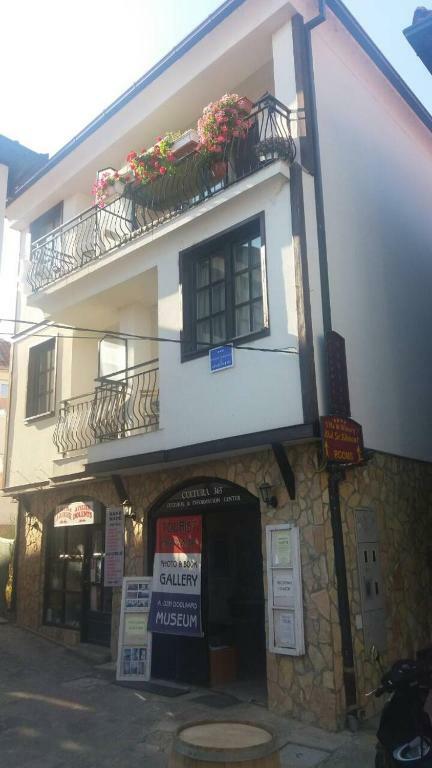 A 5-minute stroll will take you to Ohrid's Central Square, where a wide choice of restaurants, cafeterias, bars and grocery shops can be found. Ohrid Airport can be reached within a 10-minute drive and the Bus Stop is set 0.6 mi away. 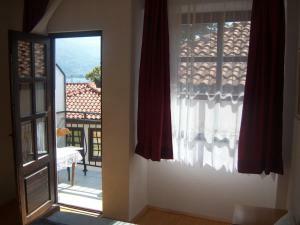 뀐 Located in the top-rated area in Ohrid, this property has an excellent location score of 9.7! When would you like to stay at Apartmani Marija? 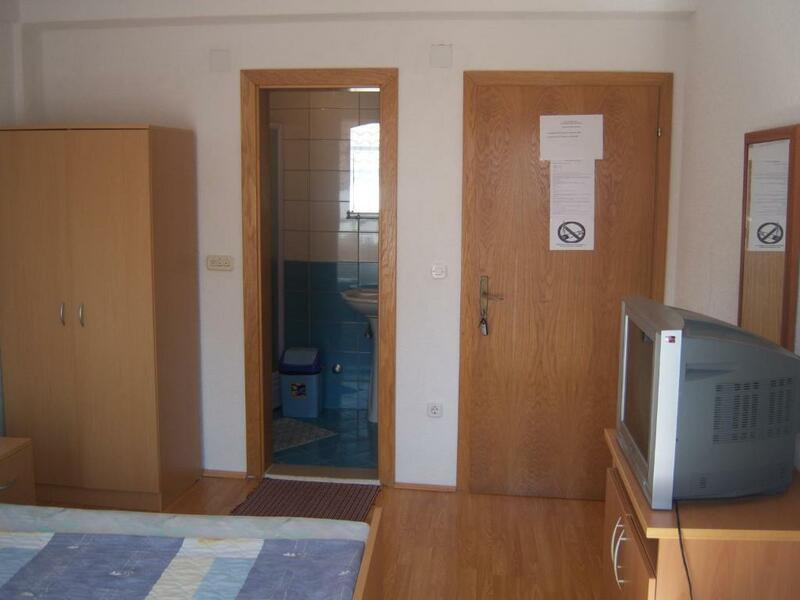 This room features a TV with cable channels, and a bathroom with a shower, a hairdryer and free toiletries. 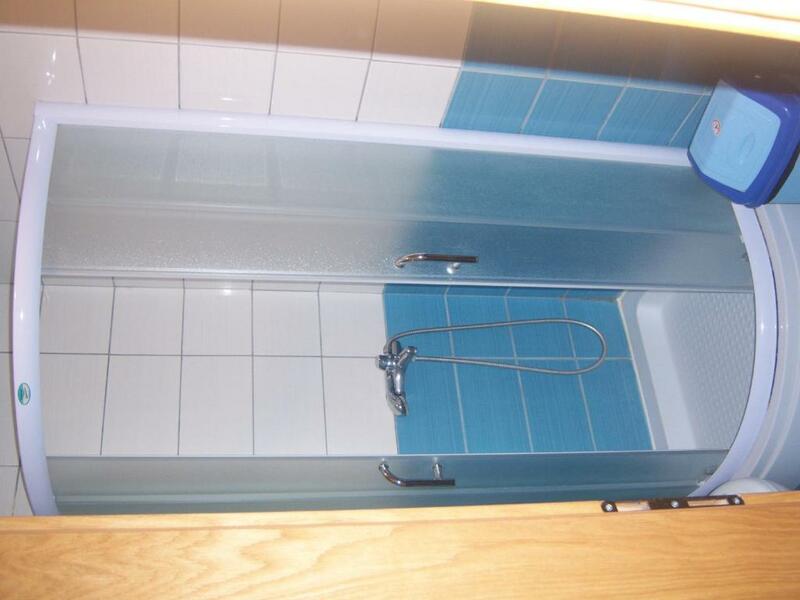 House Rules Apartmani Marija takes special requests – add in the next step! Please let the property know your expected arrival time. You can use the Special Requests box when booking or contact the property directly. Low ammount of hot water for shower. Staff couldn’t speak English.but so kind and no problem at all. Surely I cold see the lake from balcony. They don't have free parking. They are using some parking near the place that can be taken as soon as you move your car. We didn’t find the remotecontrol for the AC and the staff didn’t speak english. A bit noicy outside at night.